The Financial Executive's Alliance (FEA) is a national affinity group administered by First Republic Bank with local networks in New York, Boston, Northern & Southern California, Southern Connecticut, and Chicago. Registration, events, meals and drinks are 100% complimentary and intended for the senior financial decision maker of a Venture Capital, Private Equity or Hedge Fund management firm. To join, use the registration link to the right as it will take no more than a few minutes to complete. 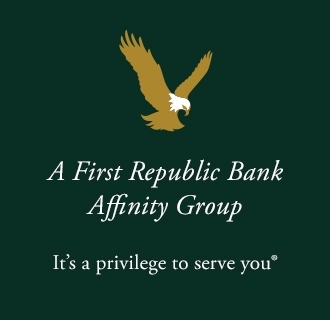 First Republic Bank and its subsidiaries are not responsible for any views expressed by the FEA or any members of the FEA. FEA membership of anyone involved with any Hedge, Private Equity, Venture Capital or other Alternative Investment Fund or Limited Partnership does not indicate a recommendation by First Republic or any of its subsidiaries for the purchase or sale of any such investment.